At Evansville, Indiana, Officer Jack McLamb departed planet earth on Saturday, January 11, 2014. Officer McLamb had been challenged with diabetes and Parkinson’s disease in recent years. On behalf of usuryfree creatives, The UsuryFreeEye Opener, extends our deepest deepest sympathy to his wife, Angie and his family and friends from all over the world. 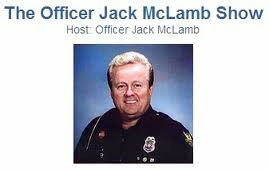 Officer Jack McLamb was the most highly decorated officer on the Police Department in Phoenix, Arizona, USA. Though he was fired from the Phoenix Police Department three times, each time he appealed and won his job back. Throughout his career as a Police Officer he was known for his acts of heroism. 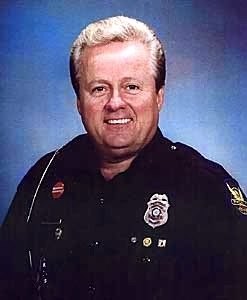 Officer Jack McLamb was disabled in the line of duty as a Police Officer. Officer Jack McLamb taught those with whom he came into contact with to appreciate the honourable and good individuals who chose law enforcement as their career. Officer Jack McLamb was the originator of the “Officer Friendly” program that arranged to have police officers visit schools to help children be better acquainted with the local police force. I was fortunate to learn of Jack McLamb way back in the mid-1980’s when he was publishing the “Aid and Abet Newsletter” and a little later he published “Vampire Killer 2000” – An American Police Action Plan for Stopping World Government Rule. More details about Vampire Killer 2000 at this website. 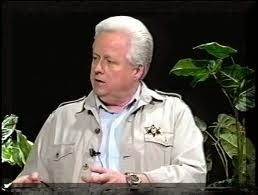 Officer Jack McLamb was one of my best mentors in the 1980's and 1990's when I was researching the New World Order. Officer Jack McLamb had a strong moral compass and he rang the bell for freedom for a very long time. 5. JackMcLamb says “BP Gulf Oil Spill Was All Staged"